Should I Buy Used Photography Equipment? 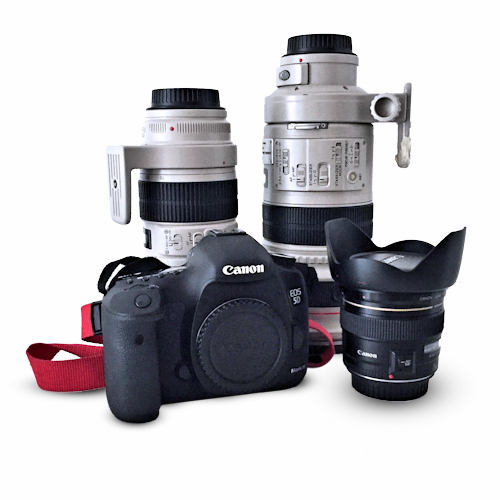 Gear - Should I Buy Used Photography Equipment? Photographers and filmmakers need gear, it’s the tools of the trade and without it creative thoughts remain only in our heads, never to see the light of day or night. When we’re starting a creative journey we usually discover our passion using the most minimal amount of gear, perhaps as basic as the camera on a phone. If our interest in making photographs or films grows though we soon realise very quickly that ambitions become bigger than the gear. The ideas might not be grand, it could just be a desire to keep the camera steady, or to widen the view but whatever they are, we soon reach a point where we’re asking ourselves what do I need to buy and can I afford it? Unless money is no object (lucky you), you’re probably going to think hard about how you can afford that new bit of kit. We’d all love to buy new stuff off the shelf, but when funds are tight we have to at least consider the alternatives. Usually our first thought is to consider second-hand. There’s a plethora of used options out there, for example eBay or the many retailers who have large stocks of used equipment. It certainly makes sense to see how much the new item is before buying second-hand. If we’re only saving ourselves just a little, why not buy the brand-new item anyway? However if the saving is eye-catching and you’ll have to decide how you define ‘eye-catching’, then used is very appealing. When looking at used kit, consider the condition. Unless you’re looking for something rare, most items will be available from as-new right through to well-used or worse. Of course as the condition moves further from ‘as-new’ so the price drops accordingly. Or at least it should do. This is why it’s useful to know how much the new price is and then compare the price of the item you’re interested in and if the saving is worth the drop in quality. We all want to save as much money as possible so carefully research the condition and the price. If the item will have to be delivered there may be a cost for shipping and maybe even insurance so be sure to factor that in to any cost calculation. If it’s coming from overseas might there be an import duty to pay too. As new models are released by manufacturers, the older models are no longer stocked as new so this always has an impact on second-hand prices. When an item is being sold second-hand but is still a current model, it will invariably be priced at the high-end of the used price range. If an item is an older version of an item then this reduces the second-hand value. "Will your work benefit so much from paying the extra or can you do just fine with the cheaper and less well-specified item? " Many creatives see the latest piece of kit and desire the features only the new model offers. For many, the older models lose their appeal because they lack these new features. For those that can live without the new whistles and bells maybe have an advantage because this is when used prices start to drop to attractive levels. We’d all love to use the new stuff but consider for a moment if you can still be as creative with the features of the older gear. Will your work benefit so much from paying the extra or can you do just fine with the cheaper and less well-specified item? Consider a popular lens like the 24-70mm f2.8 which most big brands produce along with a lot of independent companies too. New versions of this model come out regularly which always spurs on the purchase of the new lens so older versions are quickly moved on to the second-hand market. It’s quite hard to make big changes to a mature lens of this type, of course the newer models will always be a little sharper with less vignetting and other advances will appear like stabilisation or waterproofing, but really is it going to make that much difference? For a person on a budget, the older model is likely to work just as well in most situations and cost less to buy. Perhaps the biggest issue we face with a second-hand purchase is reliability. As the kit ages so the chance of failure increases. We take a risk when we buy older gear, with the reward being a lower purchase price. Much will depend upon how much a failure in the field will cost the creative. If they're making work only for themselves then a hardware issue is always annoying but not the end of the world. If the shoot is for a client though then the repercussions of that failure could cost more than just the price of a repair. As any professional photographer or filmmaker will testify, a problem with kit is bad for so many reasons. Having back-up gear is a way of mitigating those issues but buying reliable equipment in the first place goes a long way to avoiding the risks. What if we do encounter a fault? If faulty gear is purchased privately there’s generally no protection. Specialist used platforms like eBay will have their own terms so check these before buying and make sure you’re happy. Dealers tend to offer a warranty, albeit a short one, which at least offers the buyer an opportunity to test the item and identify any issues that can be resolved before the end of the warranty period. Some also offer an extended warranty for a price. There are some things I'd never buy secondhand, like batteries for instance. I never know the true condition so I'd rather buy new and not have to be concerned about charging. Anything I have to plug in to the mains is always a buy-new too. I avoid any non-brand products where full electrical loads are concerned. I've heard too many horror stories about faulty fittings causing fires for me to put money-saving above life-saving. Buy From The Less Well-Known Brands? If we have the beginnings of a camera system from a certain brand like Canon, Sony or Nikon it’s natural to consider buying more of their products when we want to expand our kit. Whilst the major brands produce very high-quality equipment, it also tends to be at the top-end of the price range. If we wanted a new lens and our favoured brand’s products are too expensive, why not consider an independent company like Tokina or Sigma? These make lenses in similar focal lengths to the biggest brands and in many cases of a very similar quality but still mostly come in cheaper. There are a number of sites that compare lenses from all of the manufacturers so with a little research it should be possible to see just how good or bad they are for your needs. 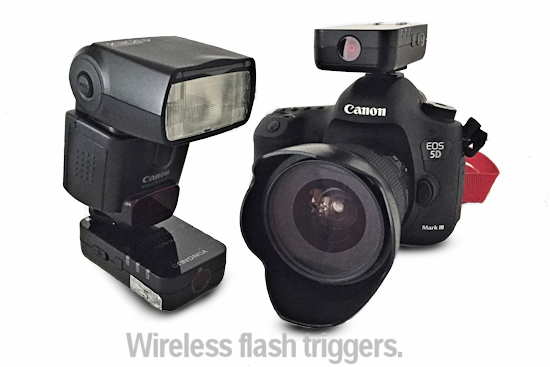 It isn’t just lenses that are made by other companies; flash systems are a popular independent product range as are the many lower priced accessories like battery packs and remote releases. I use Canon equipment and wanted an alternative to their remote flash kit so I looked at some of the smaller brands who seem to specialise in these types of items and sell via eBay and Amazon. I came across the Yongnuo range which met my specifications to retain full flash control but wirelessly and at an attractive price. These have worked very well for me and are still in my kit to this day. I wasn’t that familiar with their brand so I did research user feedback where I could find it, such as in Amazon’s buyer comments. (We have no connection to the Yongnuo or Canon brands other than users of their equipment). If we consider batteries again, my experience of buying batteries is to be amazed at how much Canon charge for an own-brand when another well known independent manufacturer can charge (no pun intended) much less. Needless to say the cheaper versions have been purchased and for me have done a sterling job. Most products are made by various companies and there’s always the high-end, high-price brands, a middle-of-the-road brand and a cheap brand. Sometimes only the best product will do and we have to make that investment but there will always be opportunities to save money by looking at the cheaper alternatives. All images © Peter Hatter and used with permission.